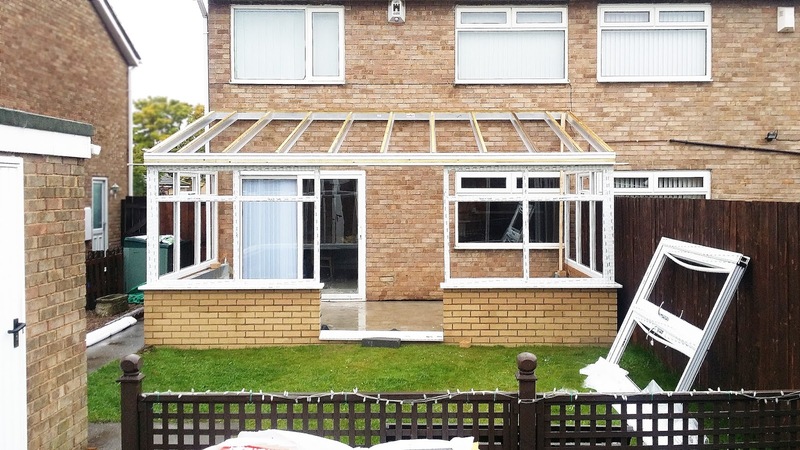 Home Uncategories Supalite Tiled Conservatory Roof: The Installation! Supalite Tiled Conservatory Roof: The Installation! 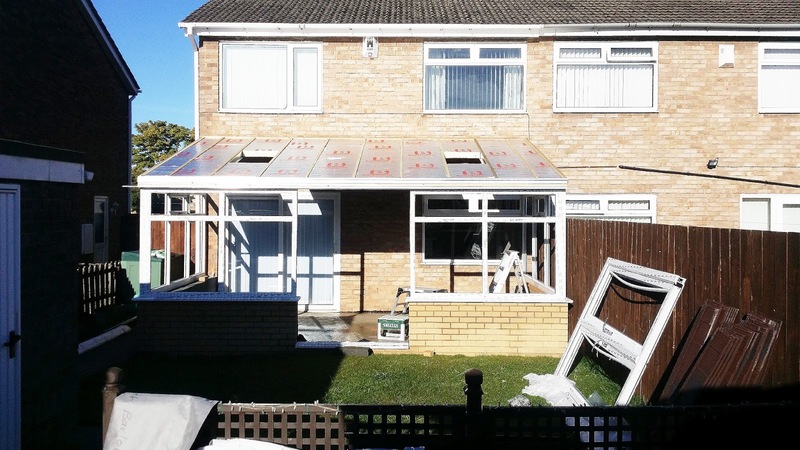 Check out our Installation as it was installed! 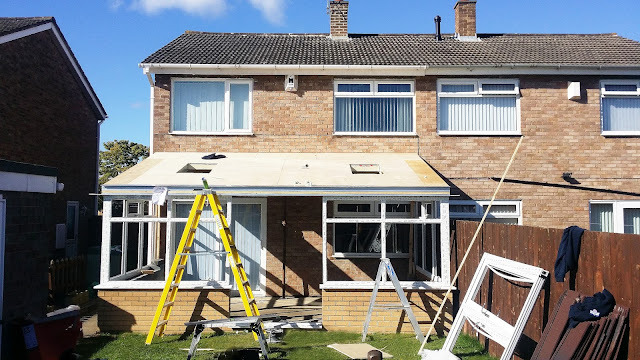 Replacing existing Framework with our Fantastic Rehau White UPVC Profile, with Top Opening Sashes & a Supalite Roofing System with Burnt Umber Metrotiles. 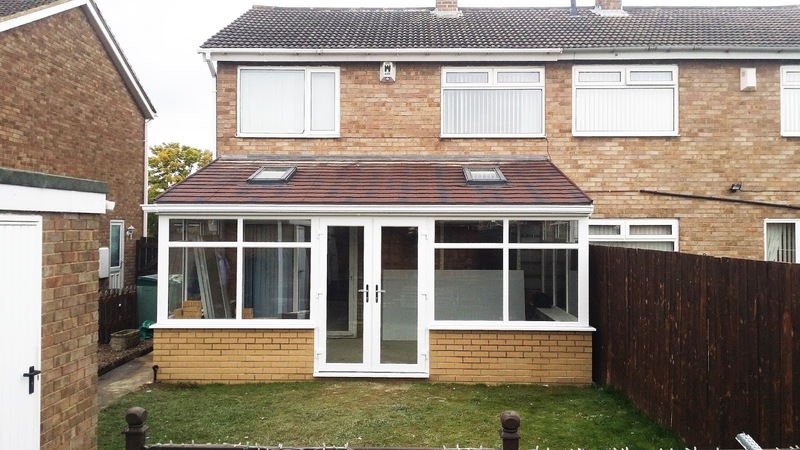 Supalite Roofing is a Light-weight Tiled Conservatory Roof, Which not only adds style, it adds energy efficiency, giving you a Conservatory Roof thats Warmer in the Winter and Cooler in the summer compared to that of a tradition Glass or Poly Carb Roof. Supalite comes with a huge Range of Tiling Options, from the Efficient Ultra-Light weight Metrotiles, to the Luxurious Tapco Slate, there is guaranteed to be a Colour and Design to enhance your Property. The Support work is up, ready for the Insulation! 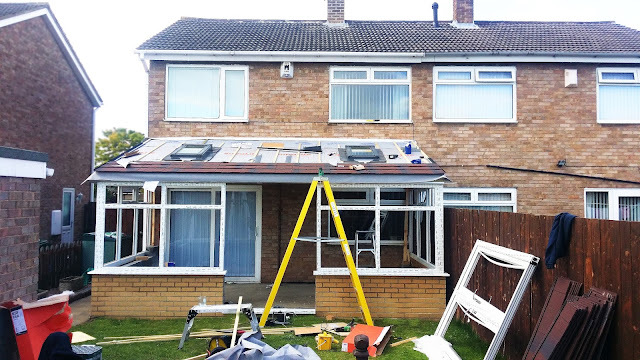 Dekea Roof Vents are installed and Tiles are ready to go on! Complete! 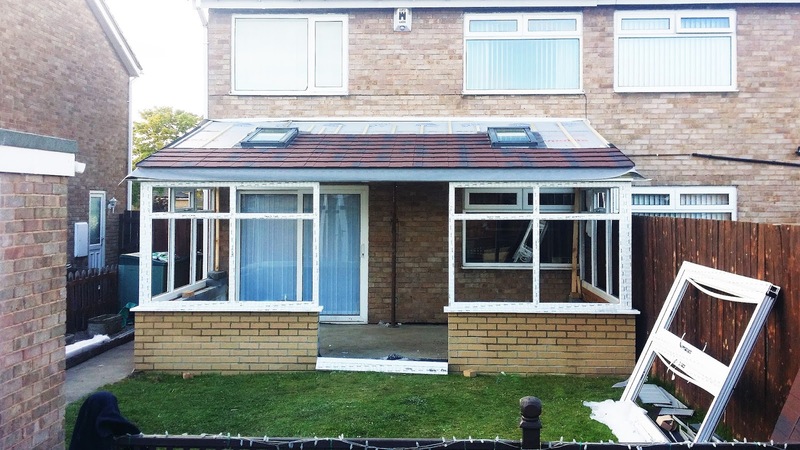 Our French Doors and Glass Units are installed, and the Roof Is finished, sealed and Waterproofed with Lead Flashing.